This song never got much attention here and I think it's worth a thread. First of all, the form of the song is interesting. 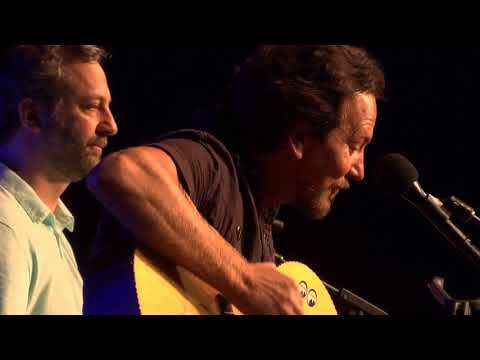 Ed is singing lyrics from Garry Shandling’s diary and Judd Apatow is telling jokes from Garry Shandling’s joke notebooks. Together, the song is both humorous (the spoken parts) and fairly deep (Ed's vocals on the diary text). If you haven't heard it yet, give it a listen, you might like it as I do.